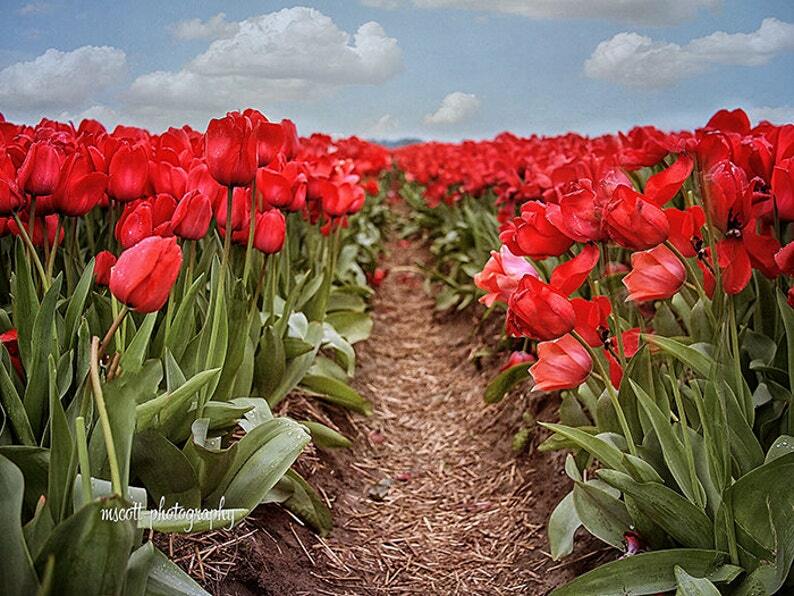 Red tulips for miles and miles. Taken in the famed Skagit Valley of Washington in spring. One of natures most colorful and cheerful flowers.